This is such an unusual postcard! 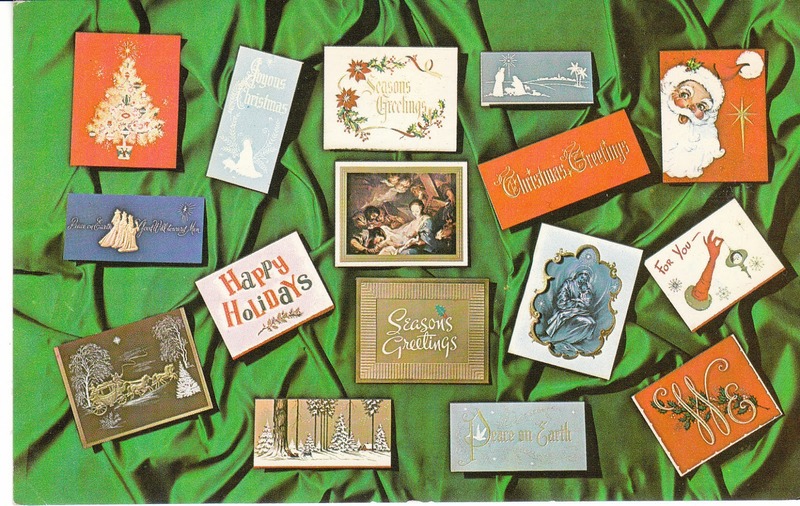 It advertises a Mid-Century line of Christmas cards that were for sale. The cards are by the Chapel Line. This was probably sent out by salesmen in the 1950's or 1960's to stores that might carry the cards. I love vintage Christmas cards, and often sell them in my store. I actually recognize a couple of the designs pictured on this postcard! You'll find this Mid-Century advertising postcard at Birdhouse Books - just click here.